Our Top Book Selections For This Week! 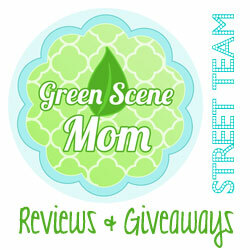 You are here: Home / Media Reviews / Our Top Book Selections For This Week! Is Being a Princess is Not All It’s Cracked Up to Be? This is a really delightful book especially for young girls! I recommend for ages 1-6. 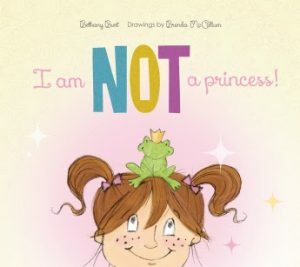 Schiffer Publishing, Ltd., is pleased to announce the release of I Am Not a Princess! 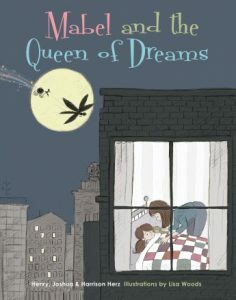 by Bethany Burt with drawings by Brenda McCallum and featuring a little girl whose princess persona collides with the activities she loves best. Can a princess ride a bike, bake cookies, and play baseball? Play-acting and self-identity are the themes of this charmingly illustrated book about a girl who dreams of being a beautiful princess. What’s not to love? Princesses get to wear fancy dresses and beautiful jewels. They live happily ever after with the prince of their dreams in a splendid castle in the countryside. 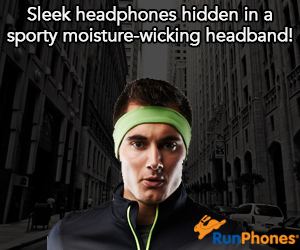 Plus, they are never burdened with boring chores or unpleasant activities. Their only real job is looking pretty. But when Eliza, dressed in full princess fashion, tries to join in on the fun in her household and neighborhood, she is disappointed to discover that being a princess prevents her from doing many of the things she loves. She can’t ride a bike, play baseball, help her father paint, or bake cookies with her mom. See what happens as her frustration builds. This glimpse inside a little girl’s head helps preschoolers put their fantasies in perspective. Schiffer Publishing, Ltd. is a family-owned, independent publisher of high-quality books. Since 1974, Schiffer has published thousands of titles on the diverse subjects that fuel our readers’ passions. From our traditional subjects of antiques and collectibles, arts and crafts, and military history, Schiffer has expanded its catalog to publish books on contemporary art and artists; architecture and design; food and entertaining; the metaphysical, paranormal and folklore; and pop and fringe culture, as well as books for children. 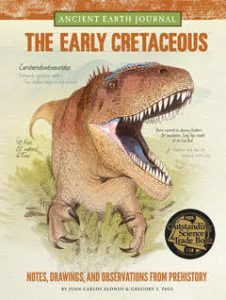 Visit www.schifferbooks.com to explore our backlist of more than 5,800 titles.The next ones are also highly recommended and would make great gifts this upcoming Holiday season! 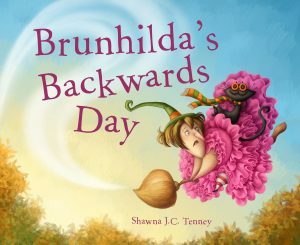 BRUNHILDA’S BACKWARDS DAY by Shawna J. C. Tenney : Brunhilda the witch loves making trouble. But one night, Brunhilda’s cat makes trouble instead. When she wakes up that next morning, she is on the right side of the bed. The day has gone completely backwards. What will happen when Brunhilda casts her all-time favorite misery-inducing spells? With bright, colorful illustrations and clever dialogue, this book teaches kids that being kind to people actually makes you feel better than playing tricks and being mean.I like this one because it is a fun book and also teaches kids to be kind! Ages 3-6. 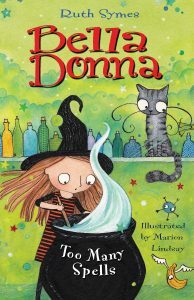 BELLA DONNA: TOO MANY SPELLS by Ruth Symes and Marion Lindsay: Bella Donna seems just like any other student at her school, but she has a secret: she’s really a witch! The other witches who live on Coven Road are having a spell casting contest, and Bella is determined to win. When strange things start to happen at school and begin to spin out of control, Bella wonders if she can really handle it all. Teachers and parents will love this series because it is good for reluctant readers and will teach kids important lessons in each book. I love this one because of the important lessons it will teach kids ages 7-10! 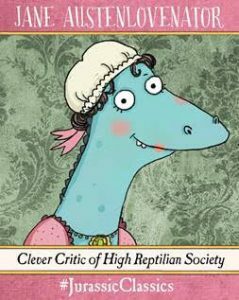 It is a fun read and I think kids will like Bella Donna! Have a Pokemon fan in the house? This one is great for ages 8-12. 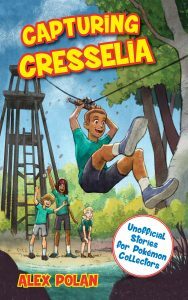 CAPTURING CRESSELIA: UNOFFICIAL STORIES FOR POKÉMON COLLECTORS, #2 by Alex Polan : Welcome to Camp Pikachu, where kids can act out adventures from their favorite Pokémon games and cartoons, battling other teams to earn points and badges, and maybe make it into the Summer Camp Hall of Fame! Marco, Nisha, Logan, and Maddy can’t wait to embark on their latest adventure: Pokémon Orienteering! This is the perfect book for young reluctant readers and fans of Pokémon. Look for them on Amazon.com! The next one is a book series that I also highly recommend! TOMO EXPLORES THE WORLD: Brand New Picture Book Series! Macmillan Children’s Publishing Group is launched a brand new picture book series this past October, TOMO EXPLORES THE WORLD! 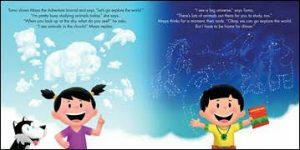 Perfect for budding innovators who like to think outside the box, TOMO EXPLORES THE WORLD is a fun and inspiring story that emphasizes creativity and imagination to achieve your goals. I love the artwork and the story will keep young kids entertained! This next one is a really fun read for young children! 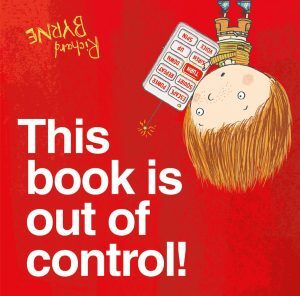 THIS BOOK IS OUT OF CONTROL by Richard Byrne is a final picture book in a series and is perfect for toddlers and young readers. I highly recommend the whole series! I love how this book will spark imagination! A truly fun and interactive story for young children. Look for it at Amazon.com, Walmart, Barnes and Noble and other locations! 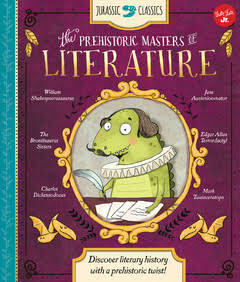 Look for the other two books: This book just ate my dog! and We’re in the wrong book! 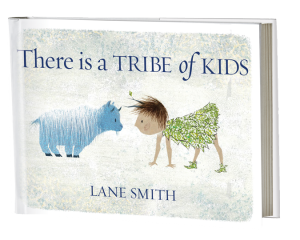 Love this Picture Book from Lane Smith: THERE IS A TRIBE OF KIDS! This one is highly recommended for young kids! It is whimsical and imaginative and also introduces young children to collective nouns! Look for it on Amazon.com and at Barnes & Noble this holiday season! I really suggest this Adventure series! 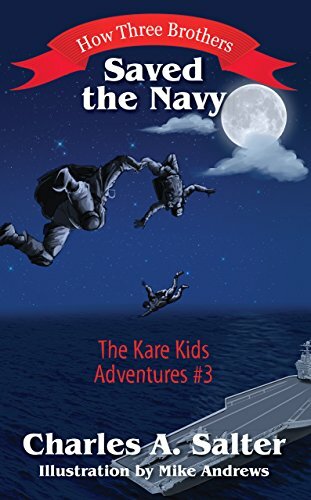 How Three Brothers Saved the Navy by Charles Salter came out this past Summer and is full of adventure! In a Recon game one day, three brothers–Matt, Ryan and Jack–scout out an abandoned airfield. They notice a team of skydivers and quickly discover these are NOT U.S. military, but rather hostile agents training to land with guns and explosives on a navy aircraft carrier. Their Force Recon Marine play suddenly becomes very real as they struggle to determine the exact target and time of the coming attack, to evade the terrorist gang, and get their intelligence information back to the navy in time to save their father’s aircraft carrier ship located just off the coast. Captured by the gang, can they use their junior Force Recon Marine skills to escape, get back to headquarters, and devise a plan to defeat the terrible plot without anyone getting seriously hurt? I recommend for ages 8-12. Illustrated by Juan Carlos Alonso. These Journals are so interesting and older children will love them! They have such interesting facts and great illustrations! 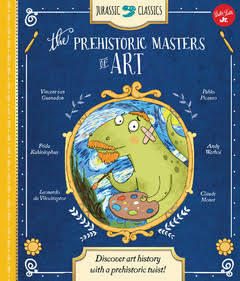 Have a young child who loves Dinosaurs? This next series is a Must-Buy! These are so entertaining and so educational too! 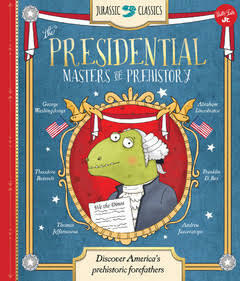 My favorite is Jurassic Classic: The Presidential Masters of Prehistory and love how many facts are included! These are perfect for ages 7-11. These can also be found on Amazon.com. The next one is a Bedtime Story with a Shakespearean Twist! by Henry, Joshua and Harrison Herz with illustrations by Lisa Woods. I really enjoy this one and love how unique the story is! Great for a bedtime story! This one is from Schiffer Publishing, Ltd.
New Bubba Jones National Park Adventure! 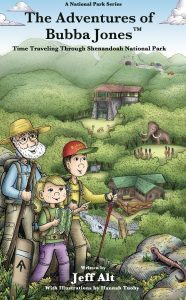 The Adventures of Bubba Jones: Time Traveling Through Shenandoah National Park by Jeff Alt. 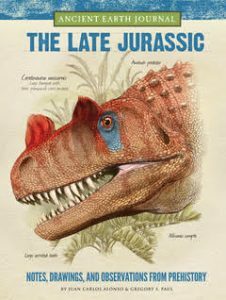 Children and adults will enjoy this book and I especially liked the time travelling. This book will make you want to pack up your bags and visit all the National Parks! It is entertaining and a fun book to read out loud! I highly recommend!~SoCal City Kids. Check out the official website of The Adventures of Bubba Jones! The books can also be found on Amazon.com and at Barnes & Noble. Self Disclosure: I received free copies of the above books to feature in this Books of the Week posting.